There was a general election in the Republic of Ireland. As a result of the election there was a change of government. Fine Gael / Labour coalition government took over from Fianna Fáil which had been in power for 16 years. Liam Cosgrave succeeded Jack Lynch as Taoiseach (Irish Prime Minister). Merlyn Rees was appointed as Secretary of State for Northern Ireland. [Due to the narrow majority of the Labour government, Rees found that he was tied to Westminster more than he may have wished. Merlyn Rees, then Secretary of State, announced the dissolution of the Constitutional Convention. Tomás Ó Fiaich, then Catholic Primate of Ireland, and Edward Daly, then Bishop of Derry held a meeting with Humphrey Atkins, then Secretary of State for Northern Ireland, to express their concerns about conditions within the Maze Prison. A former chairman of the Peace People, Peter McLachlan, resigned from the organisation. Frank Maguire, then Independent Member of Parliament for Fermanagh / South Tyrone, died. [In the aftermath of his death there was some debate amongst Nationalists as to the possibility of an agreed candidate for the forthcoming by-election. Initially Noel Maguire, Frank’s brother, Austin Curry, then a member of the Social Democratic and Labour Party (SDLP), and Bernadette McAliskey all expressed an interest in standing for the vacant seat. Margaret Thatcher, then British Prime Minister, paid a visit to Northern Ireland and denied claims that the constitutional position of Northern Ireland would be threatened by the on-going talks between the British and Irish governments. Seamus Morgan (24), a member of the Irish Republican Army (IRA), was shot dead by fellow members of the IRA who alleged that he was an informer. His body was found near to Forkhill, County Armagh. Gerry Adams, then President of Sinn Féin (SF), delivered a speech in which he said that he sought a “non-armed political movement to work for self-determination” in Ireland. The Irish Republican Army (IRA) exploded a bomb, estimated at 1,000 pounds, in the centre of Lurgan, County Armagh. The bomb caused extensive damage of commercial properties in the town. The IRA exploded another bomb in the centre of Belfast that also caused extensive damage. The Stormont multi-party talks were adjourned until 3 June 1997. This break was to allow the parties to contest the forthcoming general election. 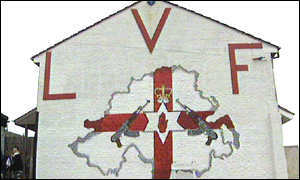 The Loyalist Volunteer Force (LVF) were believed to be responsible for a gun attack on a family in the mainly Protestant Parkhill Estate in Antrim, County Antrim. A three year old girl and her Protestant mother were injured in the attack while her Catholic husband escaped injury. Marjorie (Mo) Mowlam, then Secretary of State for Northern Ireland, visited the families of the two men killed in Poyntzpass, County Armagh, on 3 March 1998. Arson attacks were carried out by Loyalists on the homes of two Catholic families in north Belfast. 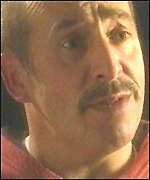 Bobby Philpott, formerly a leader in the Ulster Defence Association (UDA), said that when active in the organisation he had received so many leaked security documents from the Royal Ulster Constabulary (RUC) and the British Army (BA) that he had difficulty in storing them. The claim was made in a British Broadcasting Corporation (BBC) programme. Martin McGuinness (SF), then Education Minister, addressed the Sinn Féin (SF) student group at the Student Union building in the Queen’s University, Belfast. A group called Unionist Students Against Intimidation (USAI) staged a protest against the visit and were involved in scuffles and also threw eggs. No one was injured. It was disclosed that insurance claims by former workers of the Harland and Wolff shipyard could cost the British government up to £190 million. The claims related to illness caused by exposure to asbestos. Reg Empy (Sir), then Enterprise Minister, told the Northern Ireland Assembly that up to 3,000 former employees could become affected. Members of the Legislative Assembly (MLAs) lobbied Reg Empy to gain his support for a campaign calling for the closure of all nuclear power plants on the west coast of Britain including Sellafield. John Reid, then Secretary of State for Northern Ireland, confirmed that he did have face-to-face discussions with the Loyalist Commission, a body which includes representatives from the Ulster Defence Association (UDA), the Ulster Volunteer Force (UVF), and the Red Hand Commando (RHC). A plan to display ‘Easter lilies’ in the main hall of Stormont parliament buildings was rejected by the corporate body of the Assembly. Unionists had objected to the display of flowers which are seen as a Republican symbol. It was suggested that shamrocks should be put on display instead. At the monthly meeting of Belfast City Council, Sinn Féin (SF) accused the Democratic Unionist Party (DUP) of being “spoilers” for blocking funding to the St Patrick’s Carnival Committee. The Northern Ireland Yearbook was launched in Dublin by John Hume, former leader of the Social Democratic and Labour Party (SDLP). The yearbook includes a history of Northern Ireland, and an A-Z guide to government departments and agencies as well as independent organisations, and is described as: “a comprehensive reference guide to political, economic and social life”. Died four weeks after being shot during street disturbances, junction of Welland Street and Newtownards Road, Belfast. He was injured on 7 February 1973. Found shot in derelict house, Argyle Street, Shankill, Belfast. Internal Ulster Defence Association dispute. Found shot near Forkhill, County Armagh. Alleged informer. Found beaten to death at caravan park, Station Road, Bundoran, County Donegal. Internal Irish National Liberation Army dispute.